Some people love radar charts, others hate them. I have to admit that I really like circular shaped graphics for their aesthetics, but I also understand that is is difficult to compare datapoints in most cases. Nevertheless, several months ago I made a redesign of a radar chart for d3. Although I was happy with it the result in the “normal” version of the image below, I remembered coming across the code for a glow filter and thought it might make this a bit more engaging. So I applied the glow to the background axis circles and to the colored blobs to get the result shown on the right side. Adding some glow is exceptionally simple. If you want to, you can basically copy the code in the section below, paste it in your own code and refer to the filter’s id. You don’t have to change anything. But you can make the glow more spread out by increasing the value of the stdDeviation attribute, which stands for standard deviation. To explain the code above. First, a defs element is appended to the SVG, which stands for definitions. It contains definitions of special elements such as gradients and filters. Next, append a filter element to the defs. Give it a unique id to reference it later when you want to set the glow to specific SVG elements. If you want a bit more info on feMerge, look here. And then comes the magic part of combining specific filters in a specific order to get something you never expected. Luckily this one is fairly simple to understand. You apply a blur to the element (on which you set the filter) with feGaussianBlur. The result of this blur is named coloredBlur using the result attribute. Next, an feMergeis used to place the (sharp) original element, called the SourceGraphic, on top of the slightly blurred coloredBlur version. This together creates the appearance of a glow around the element. I found the filter code on a stackOverflow answer by Drew Noakes. However, I can’t actually remember how I ended up there, except that I wasn’t looking directly for a glow. But nevertheless, I’m glad I came across it. The glow works on rectangles, circles, paths. But as far as I can tell, it doesn’t seem to have an effect on lines, no matter how thick. Below you can play around with the glow effect. Click anywhere around the three shapes to turn the glow filter on or off. Use the slider to adjust the spread of the glow (which adjusts the stdDeviation attribute of the feGaussianBlur). 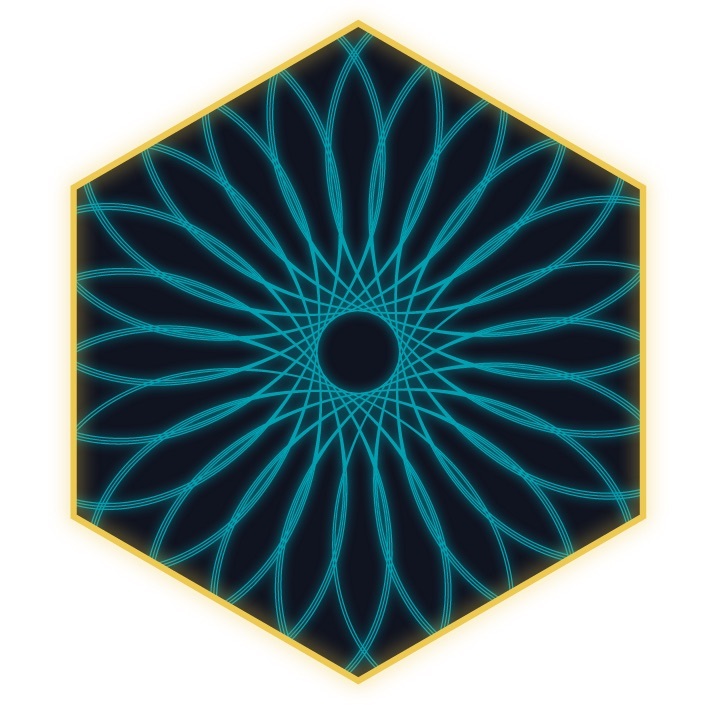 One of the examples that I found to look more fun, more neon, when a glow is added was the Spirograph project I created recently.